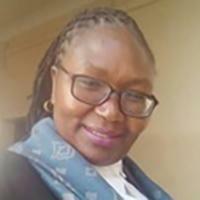 Honourable Justice Teresia Matheka is a Judge of the High Court of Kenya at Nyeri and an immediate former Chief Magistrate in Charge at Mombasa Law Courts. Justice Matheka is a member of the NCAJ Special Taskforce on Children Matters which is a body under the Judiciary of Kenya. Justice Matheka was among the first Magistrates to be appointed and gazetted as a Children’s Magistrate in 2002 by then-Chief Justice Hon. Benard Chunga beginning the great journey in the participation towards the establishment of a visible, accessible, child friendly juvenile justice government. She headed the Children’s Court and served at the Judiciary Training Institute, which is responsible for training High Court Judges as well as policy and curriculum development. The honourable Judge, recognizing the need for collaboration among the Juvenile Justice Agencies, set up the first Child Protection Team under the Children’s Act comprising of all the actors in the Juvenile Justice System, the precursor the current children court user committees (CCUCs), and has been instrumental in establishing Child Protection Units in Kenya. The honourable Judge is also a committed member of the Kenya Magistrates and Judges Association and the Kenya Women Judges Association.